Affordable Temperature Calibration - Instrument Technologies Inc. Temperature calibration services can be costly, and often can leave you without your instrument for weeks! Our accredited temperature calibration services are affordable, and in many cases, we can ship your device back to you within 72 hours. 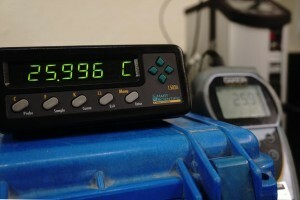 Visit www.instrumentti.com/temperature-calibration to learn more about the temperature calibration services we offer.